A four-year investigation by la Direction Générale de la Concurrence, de la Consommation et de la Répression des Fraudes (DGCCRF) found that six major companies had joined together to agree to increase their recommended minimum selling prices to distributors, increasing their own margins to the detriment of consumers, the investigation found. Together, the six companies included most of the major Western white goods manufacturers in France. They were: BSH (Bosch, Siemens, Viva, Neff); Candy Hoover; Eberhardt Frères (Liebherr); Electrolux (AEG, Arthur Martin); Indesit (Ariston, Scholtès) and Whirlpool. The meetings in question were found to have taken place between September 2006 and April 2009. The competing companies used the meetings to agree on baseline sales prices that they would each recommended to distributors, below which they would all agree not to drop, the DGCCRF said. Similarly, the companies were found to have agreed a sliding scale of uniform surcharges; €20 for appliances sold for less than €200, €30 for those at €200-€400; and €50 for sales worth more. The policies were found to have been agreed “at the highest levels of the companies during secret meetings”, according to Isabelle de Silva, who presided over the DGCCRF investigation. Company managers agreed on the numbers, before instructing their marketing managers to implement the changes, the investigation found. 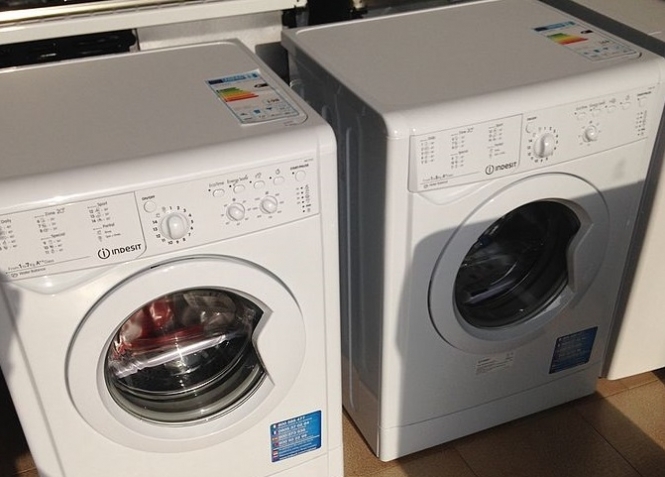 The price fixing applied to a wide variety of white goods manufactured by the companies, including refrigerators, washing machines and dryers, dishwashers, hobs, and ovens. The companies were fined a variety of amounts, depending on size and severity of infraction. Whirlpool was fined €56 million; Electrolux €48 million; and Indesit €46 million; down to Eberhardt Frères, which was found to be the least implicated, and fined just €1 million. German manufacturer BSH - which is owned by a foundation - even applied for “leniency” from investigators in exchange for closer collaboration with them, and was given a fine reduction as a result. In their defence, the manufacturers in question have said that the white goods market has not been flourishing in the past four years, and that their costs had been rising despite prices stagnating or dropping. This is due, it said, to distributors - such as Darty or Boulanger, in France - retaining a certain control over their own prices, and continued competition from Asian white goods manufacturers including Samsung and LG.